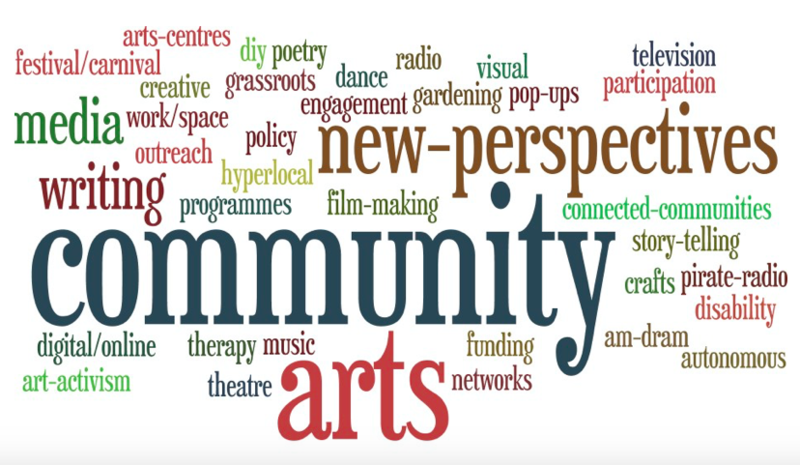 I’m pleased to be organising this conference with Dr Lucy Wright, Senior Research Associate on my current AHRC Connected Communities project on DIY Culture and Participatory Arts, and the Connected Communities team here at the University of East Anglia, Rachel Daniel and Jess Knights. Here is the call for papers. A limited number of bursaries are available to support UK-based community partner and ECR/PhD attendance. If you would like to apply for a bursary please contact cc.admin@uea.ac.uk for further details. Deadline for bursary applications is 16th March. Please also indicate the nights that you will require accommodation. For further information contact cc.admin@uea.ac.uk. 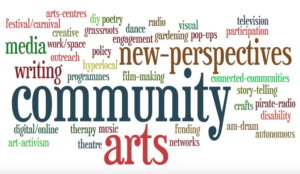 This entry was posted in Academic, Conference, Connected Communities and tagged community arts, Helen Nicholson, participatory arts, participatory turn, Steve Pool, UEA on March 1, 2018 by George.